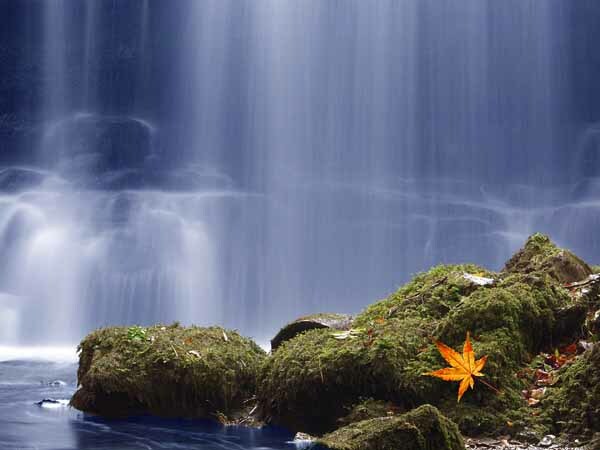 Autumn Falls, Scaleber Force near Settle, Yorkshire Dales. Acer leaf was added digitally. Olympus E10, f11 @ 3sec.